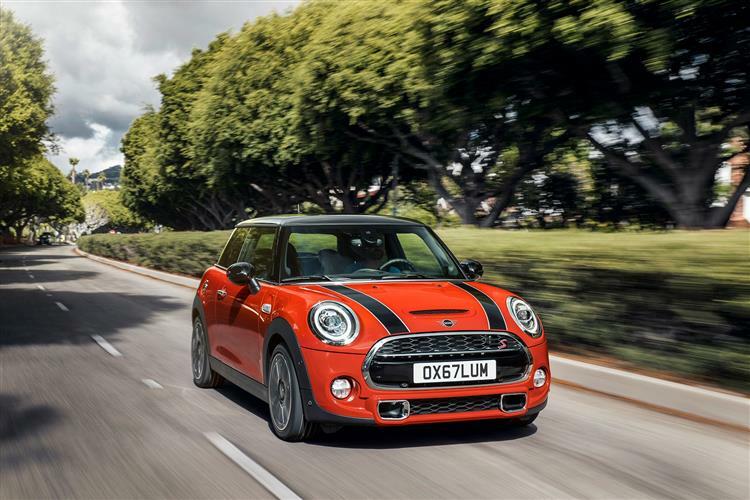 Forget all the niche models that the MINI brand has launched, this five-door Hatch is serious business, especially in this lightly revised form. With a long wheelbase, class competitive luggage space, room for grown-ups in the back and a range of punchy but economical engines, this one looks to have the sort of strong all-round game to guarantee strong sales. 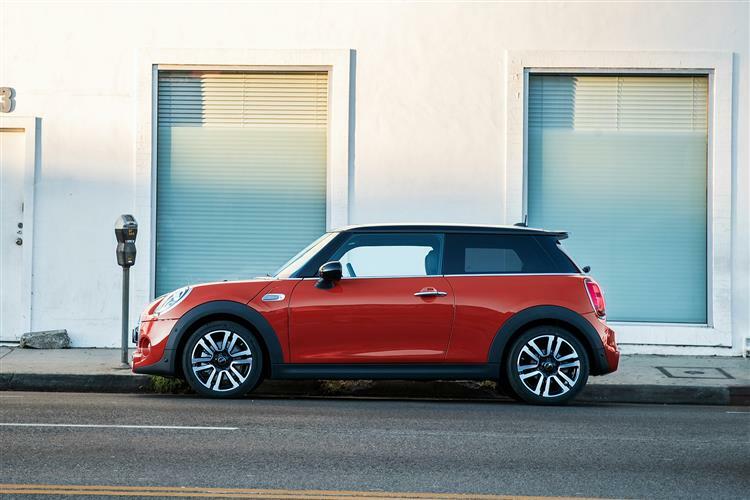 In five-door Hatch form, the MINI has grown up. Jonathan Crouch reports on the improved version. 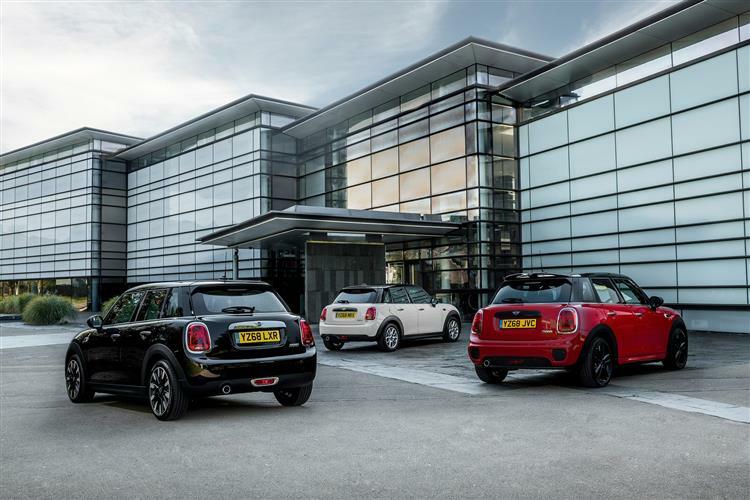 Take a standard MINI, add a dash of length and practicality and you'd have a strong seller. 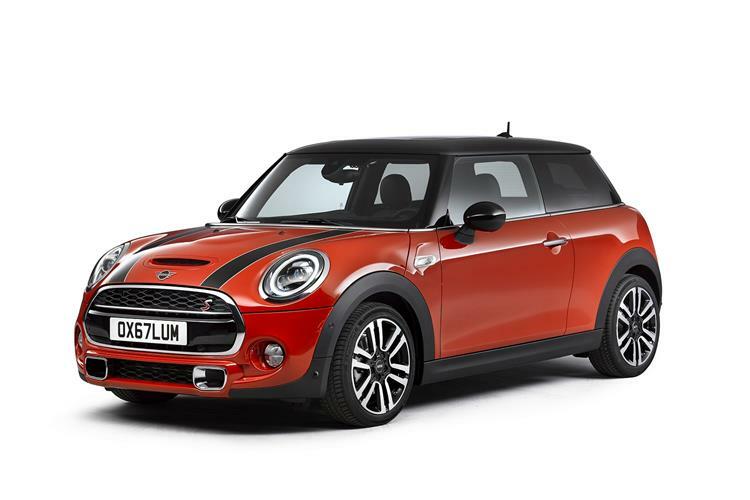 You'd have a car like this, the MINI Hatch 5-Door. 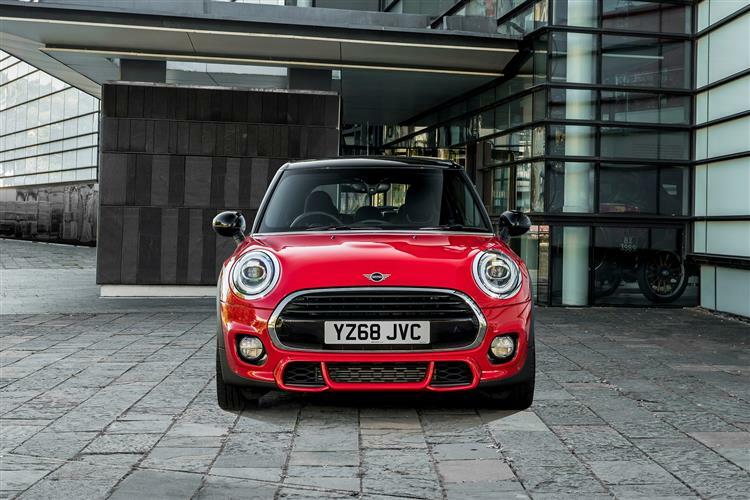 The BMW brand talks of this design being 'the first ever 5-door MINI Hatch'. Hang on though. 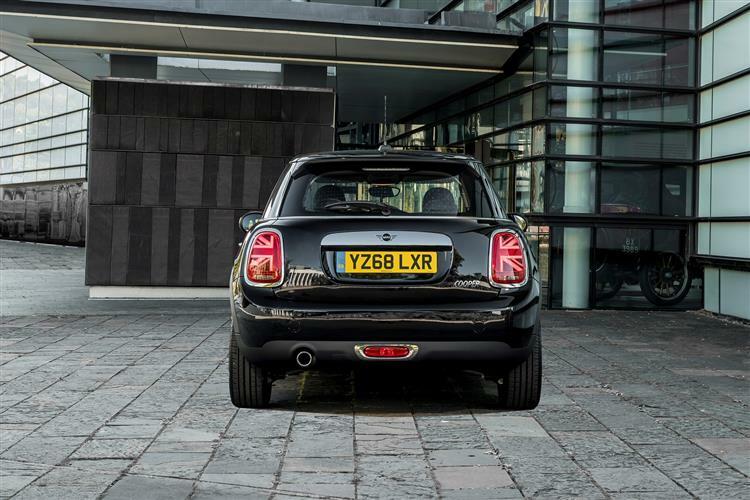 Doesn't the company's Countryman model already fit that description? Apparently not. 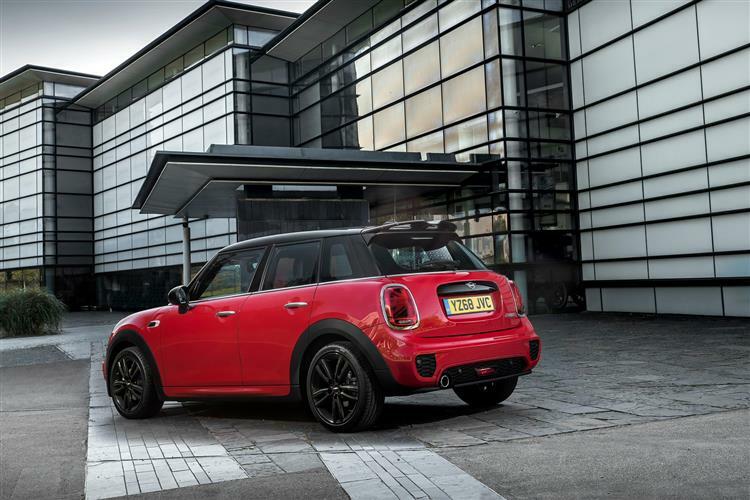 MINI now markets that car as an SUV segment contender. 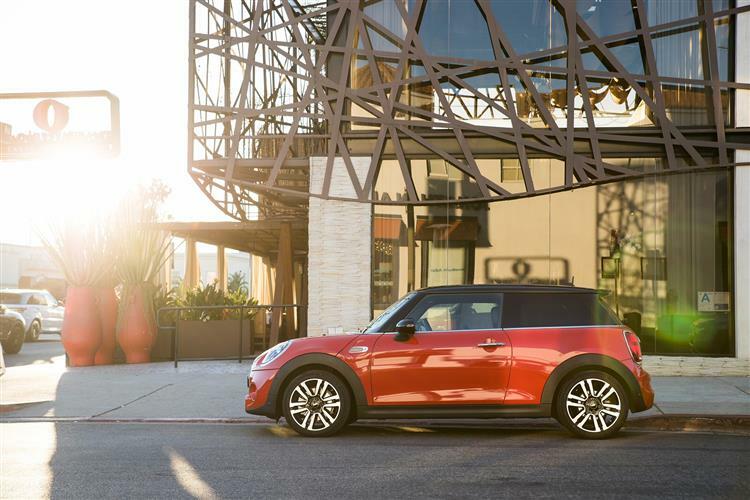 In any case, the Countryman isn't affordable or efficient enough to properly appeal to MINI's core customer demographic. 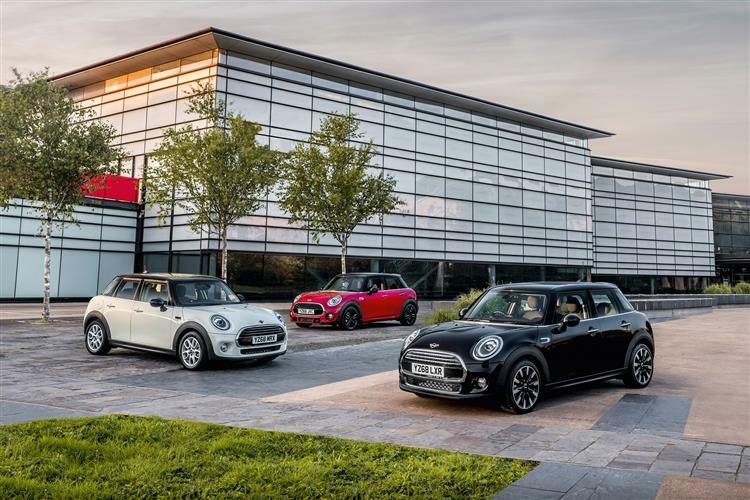 Or, more pertinently, people who might want to be in MINI's core customer demographic. 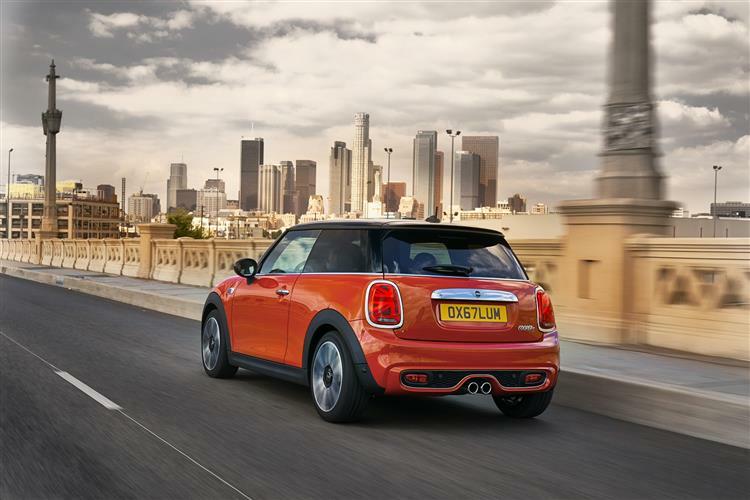 There are, after all, potentially lots of folk who like the stylish frugality and fun, chuckable, cheeky demeanour of the MINI Hatch 3-Door model but simply can't justify that car's tiny rear seats and restricted boot. Perhaps they've an occasional need to transport up to three kids in the back. And they require a car that won't be daunted by the modest proceeds of a family superstore shop. 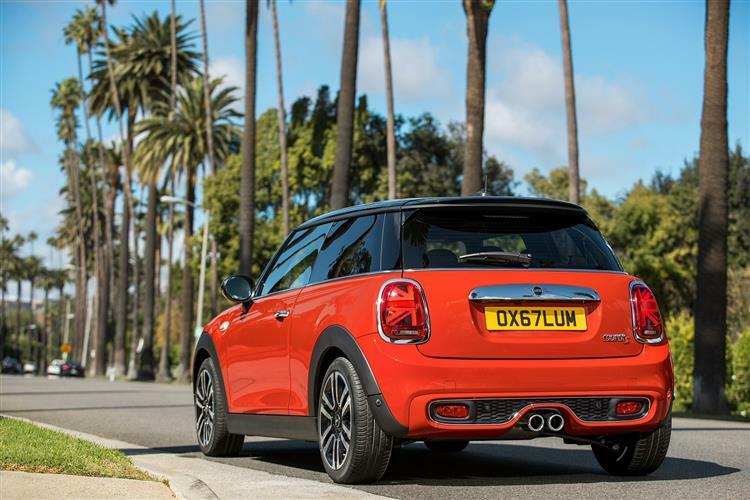 The engine range isn't going to come as any great surprise to seasoned MINI watchers. 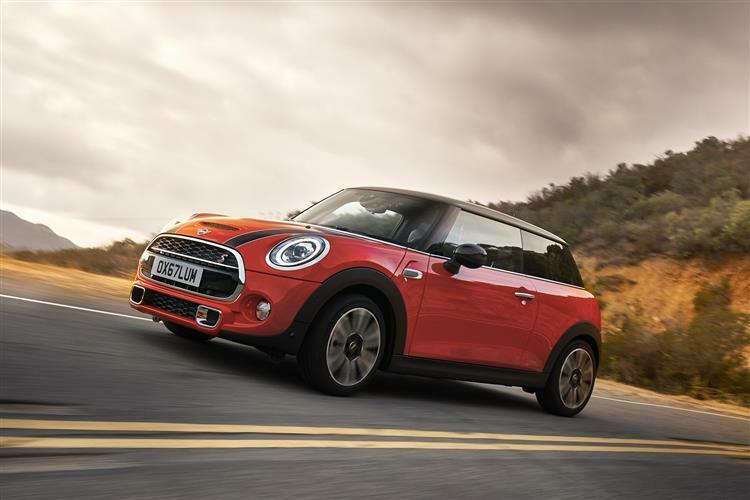 It begins with a new 1.5-litre three cylinder unit with 102bhp in the MINI One (up from 1.2-litres previously), then progresses to the mainstay of the range - the 136bhp 1.5-litre petrol-powered Cooper variant. 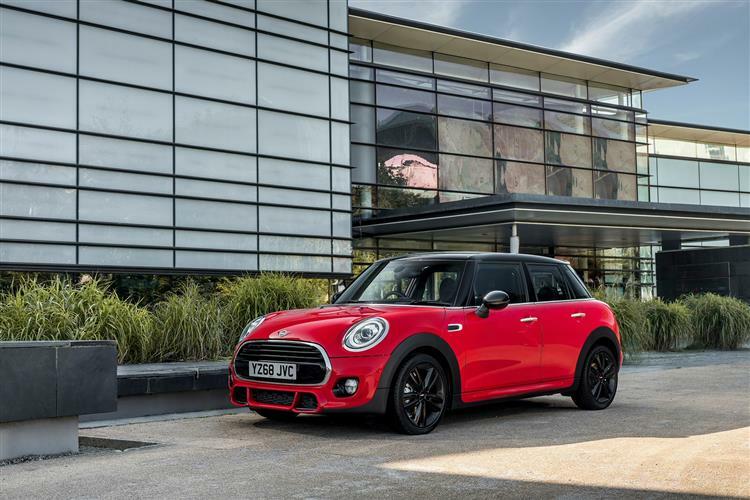 Alternatively, there's the four cylinder petrol 2.0-litre turbo 192bhp Cooper S. Most customers will stick with a six-speed manual gearbox, but a newly-developed seven-speed Steptronic automatic is available as an option. 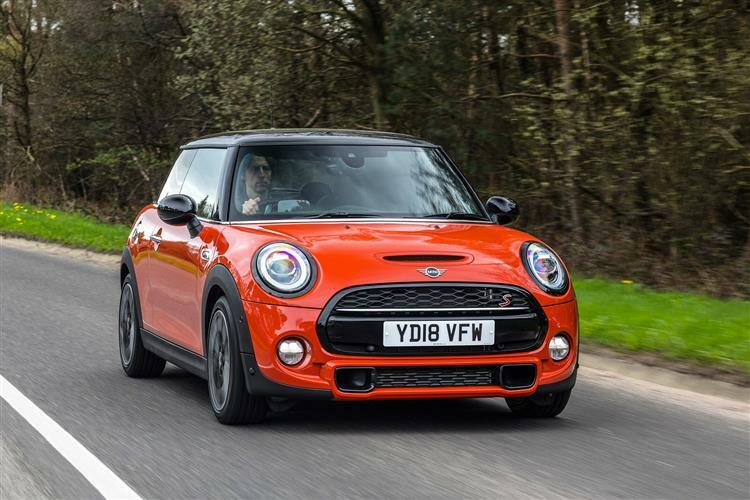 The Cooper S will cover the sprint to 62mph in just 6.8 seconds, while the standard petrol Cooper isn't a whole lot slower, getting to 62 in 8.1 seconds. Variable Damper Control with adjustable dampers is available as an option, as are MINI driving modes which offers drivers the choice between Sport, Mid and Green modes. Using a rotary switch at the base of the gearstick or selector lever, drivers can swap from the default Mid mode to either Sport or Green. The three choices offer a set-up which is either performance-oriented, balanced or geared towards fuel efficiency. 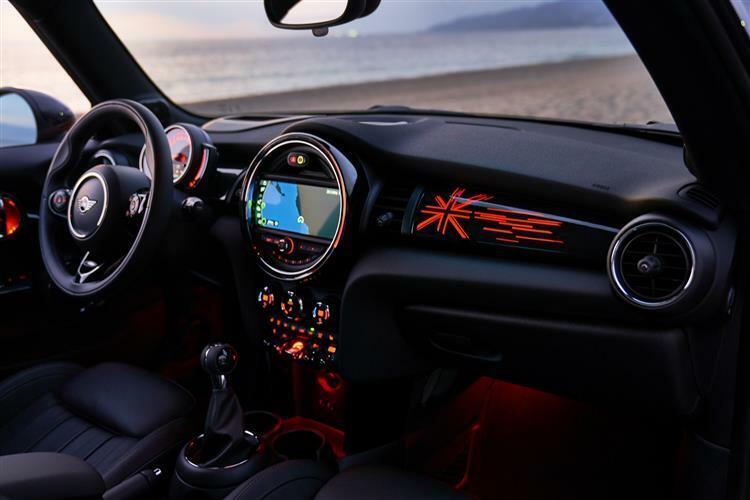 MINI driving modes also influences the ambient lighting, shift characteristics of the automatic transmission and the Variable Damper Control if the option is selected. While it's inevitably not quite as pert as the three-door car, the extra 72mm grafted into this 5-door Hatch model's wheelbase gives the shape some roadside presence. In fact, more length has gone into the rear overhang, with the car 161mm longer than the standard Hatch. The five-door also delivers 15mm more headroom and 61mm of shoulder width. As for the most recent changes, well the styling doesn't look all that different, but close inspection will reveal the addition of standard-fit LED front and rear lights, plus there's now extra scope for all-important personalisation. The pitiful boot space that many might expect doesn't in fact come to pass. 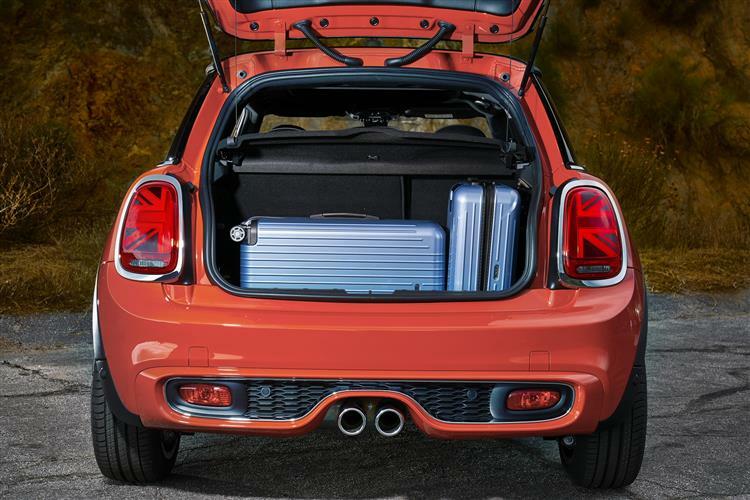 In fact, there's a reasonable 278-litre boot which is an increase of 67-litres on the three-door Hatch. 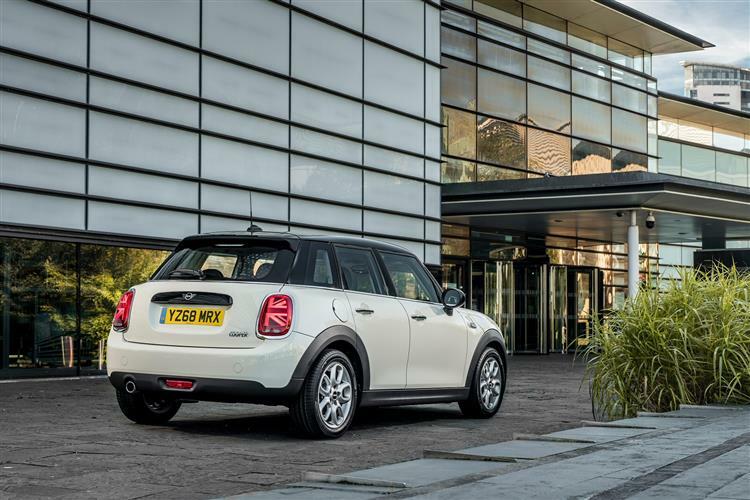 Drop the 60/40 split rear seats and there's up to 941-litres available, both measures being better than what BMW sees as this MINI's key rival in its class, the Audi A1. The boot floor can be set at two different heights, which can either optimise space or offer a completely flat boot floor for easy loading. 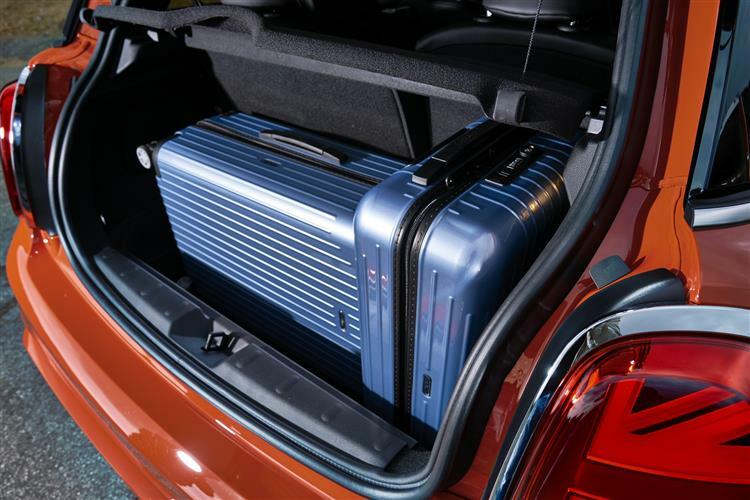 The twin height boot floor is part of an optional storage package which also includes additional lashing eyes and floor net for the luggage compartment, seats which can be angled more steeply so as to create more luggage space and map pouches for the backrests of the front seats. Accommodation in the back isn't bad, with a scooped-out headlining freeing up some extra headroom. 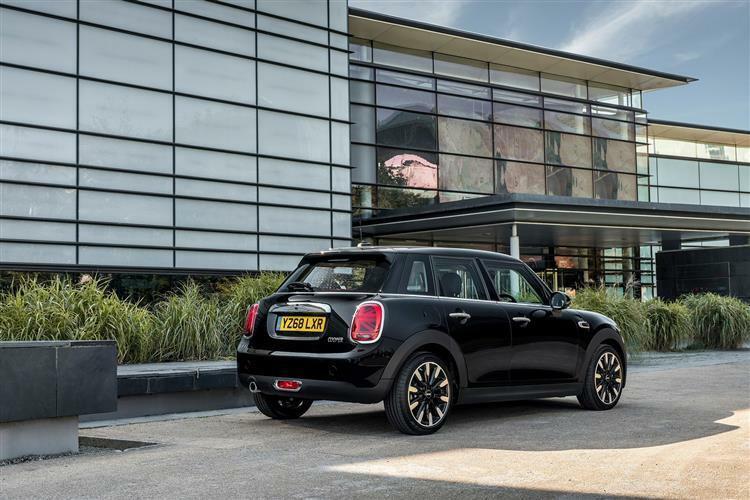 You'll pay from under £17,000 for the MINI 5-Door Hatch in base One Classic form, which is only £700 more than the three-door Hatch. 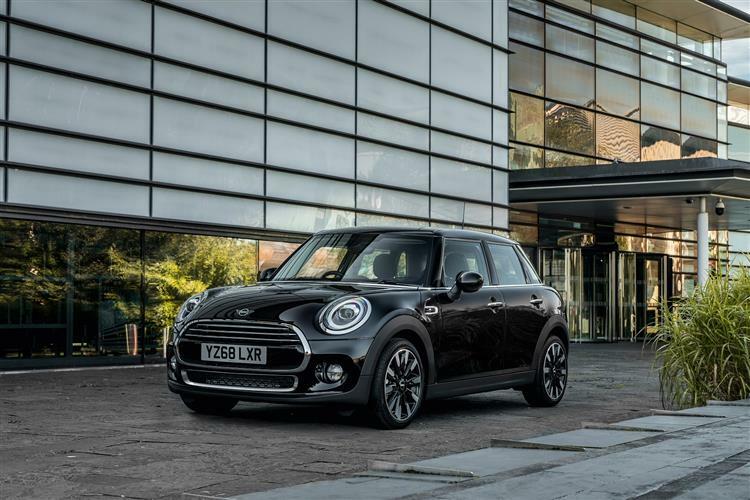 For the Cooper, you'll need mid-range 'Sport' or plusher 'Exclusive' trim and either way for the 5-Door Hatch, you'll be paying around £21,000. All models get LED headlamps, auto headlamps and wipers, ambient lighting, a USB interface and Bluetooth, electrically adjustable exterior mirrors, front fog lamps and an onboard computer. Air-conditioning is available free of charge on all models. Safety equipment includes front and side airbags, as well as curtain airbags for the front and rear seats. All seats are fitted with 3-point seat belts, belt tensioners and belt force limiters at the front. ISOFIX child seat mountings are provided at the rear and the front passenger seat. 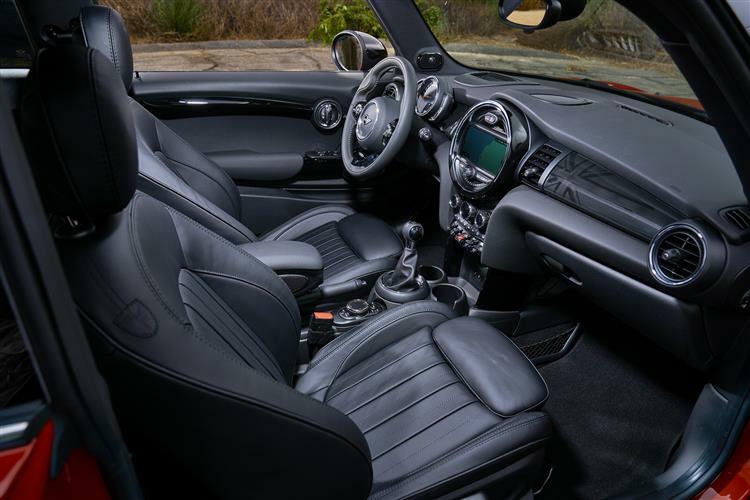 These can be supplemented with a range of options that includes two-zone automatic air-conditioning, heated front seats, a panoramic glass roof, windscreen heating, rain sensors and automatic light control, a Harman Kardon hi-fi speaker system and a sports leather steering wheel. Other options include Park Distance Control, electrically heated and folding exterior mirrors, plus both interior and exterior mirrors with automatic anti-dazzle function. 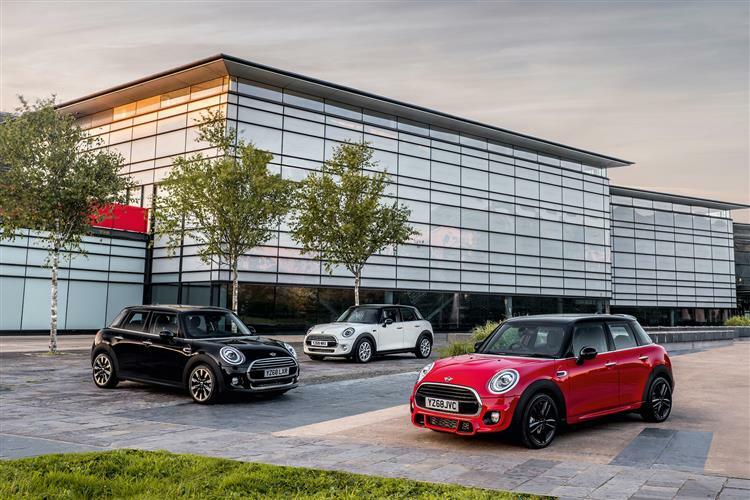 The third-generation MINI's biggest step forward has undoubtedly come in the area of engine efficiency and the five-door car continues that theme. 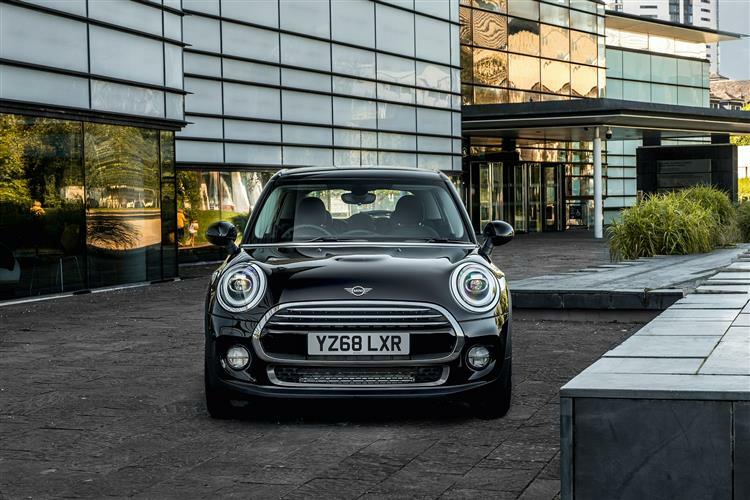 Go for the MINI One 5-Door and you're looking at 52.3mpg on the combined cycle and 122g/km of CO2. 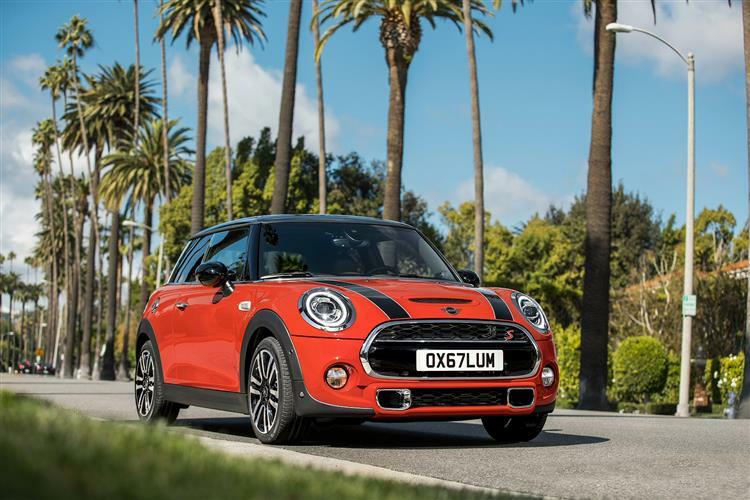 For the Cooper version, the figures are 51.4mpg and 123g/km. 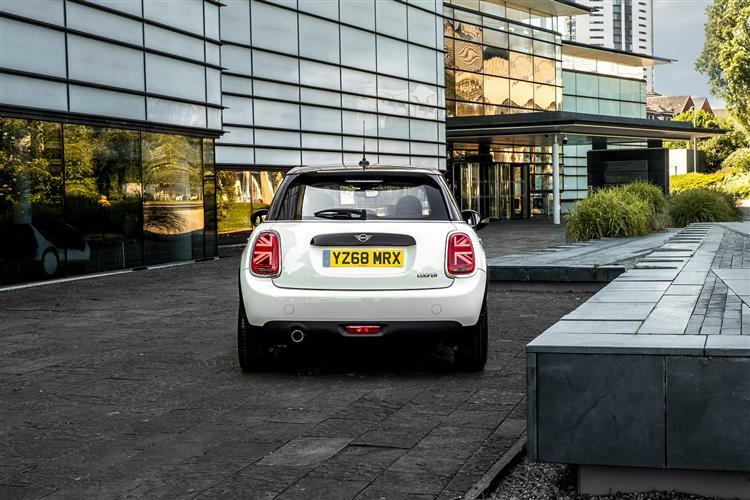 For the Cooper S, it's 43.5mpg and 148g/km. Going for the automatic gearbox won't penalise you much. It features an engine start/stop function, preventing unnecessary fuel consumption. 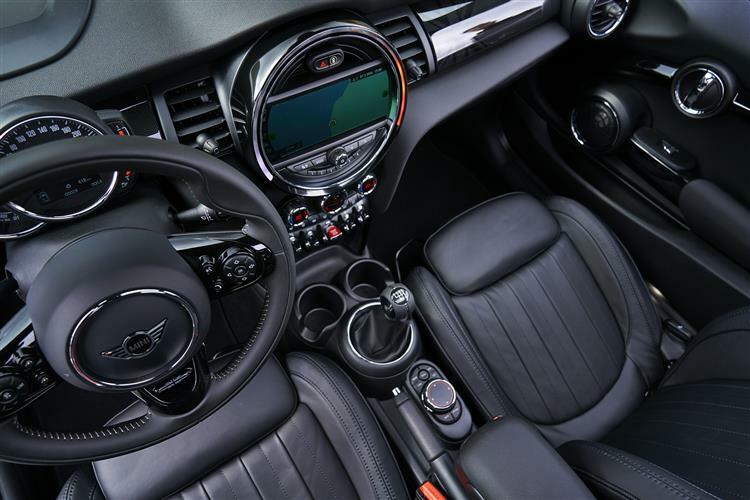 When used in conjunction with the MINI Navigation System, it's able to take account of the selected route profile and control gear shifts. Based on navigation data, the appropriate drive position is selected to match the road ahead, preventing unnecessary upshifts. MINIMALISM environmental technologies include a shift-point display function and optimised preheating process on the diesels. Brake energy recuperation and need-oriented control of the fuel pump, coolant pump and other ancillary units feature on all models. The electromechanical power steering and map-controlled oil pumps in all engines are optimised for the most efficient use. There's even an optimised preheating process which delivers a 50 per cent reduction in the energy required to start the diesel engines. 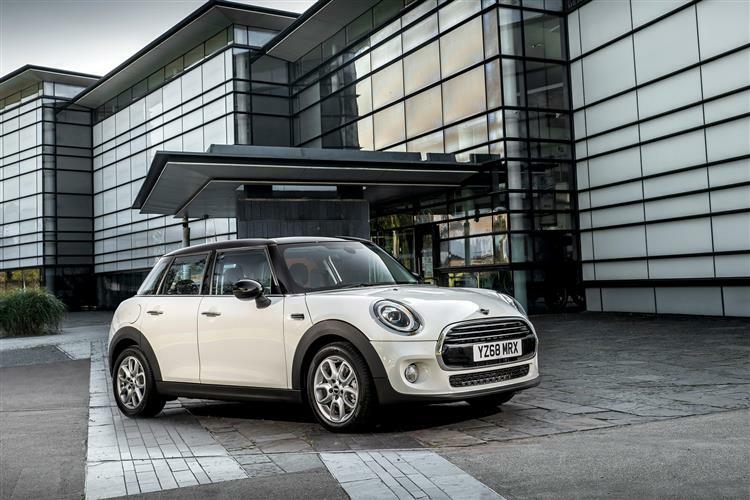 There will have been whole legions of potential buyers who would have liked a MINI Hatch but who found the car just too small to meet their requirements. 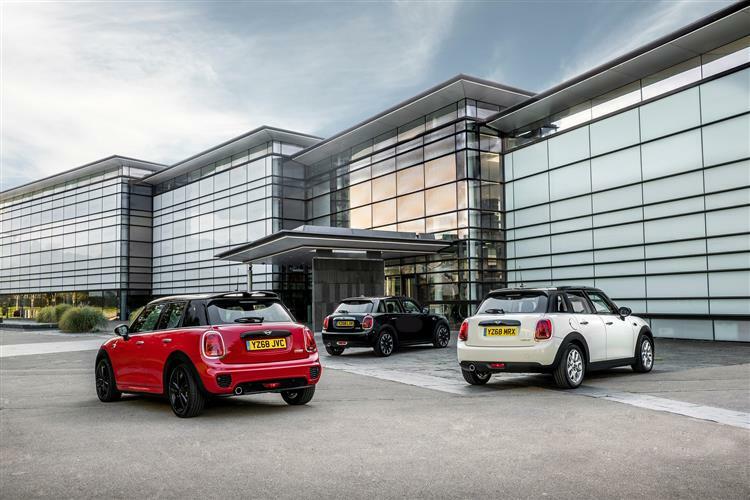 Some of these customers will have migrated to the bigger Countryman, but it's a reasonable bet that many felt that the Countryman didn't offer the look that attracted them to the Hatch and have gone shopping elsewhere. The five-door Hatch is the car that aims not only to mop up those lost sales but also attract new buyers to the marque who might have been considering a typical Focus/Astra class family hatch and can these days justify choosing a MINI. After all, this is a car that seems to have a whole lot of bases covered. It's well built, it looks good and it drives well too. Factor in excellent fuel economy, likely strong residuals and a very good standard equipment list, couple that with upfront asking prices that are anything but unreasonable and you have a really strong all-round package with broad appeal.